I never really realised this was a book, since I watched the film as a child and absolutely fell head over heels in love with it. I really need to invest in my own copy so I'm thrilled to know you enjoyed it so much and now I certainly want to sit and watch it again. I simply adore the film and always just left it at that. I'm glad you managed to enjoy the book, but I think I'd spoil my love of the film if it's different by reading the book. I liked the darkness of the film. I am so curious to make the film and book comparisons myself now! I've seen Miyazaki's version a few times now and really like it (I even got my little sister to watch it with me and she loves it too! ), but I have heard it's quite different from the book. I've never been under the impression that the book is really that well known and respected. Few of my friends, if any, have read it and I've read fantasy all my life and never really heard too much about it, more about the author herself. I am not sure how much I'll enjoy the book (especially since I recently read and wasn't a fan of her Fire and Hemlock) but I am willing to try it out. 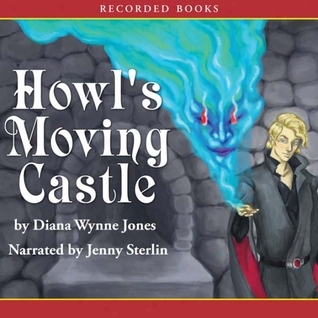 It does sound like something every fantasy lover should read at least once. So funny, I have this on audio too. I adored the film version when I was a kid and had no idea at the time that this was such a beloved book. I think your reaction to the book is about what I expect when I finally do give it a listen. I'm not super excited about it, but I feel obligated to check it off the "must read if you like YA/kid lit" list. More than anything though, your review is giving me serious nostalgia for the movie. I need to Netflix it and re-watch. Great review! 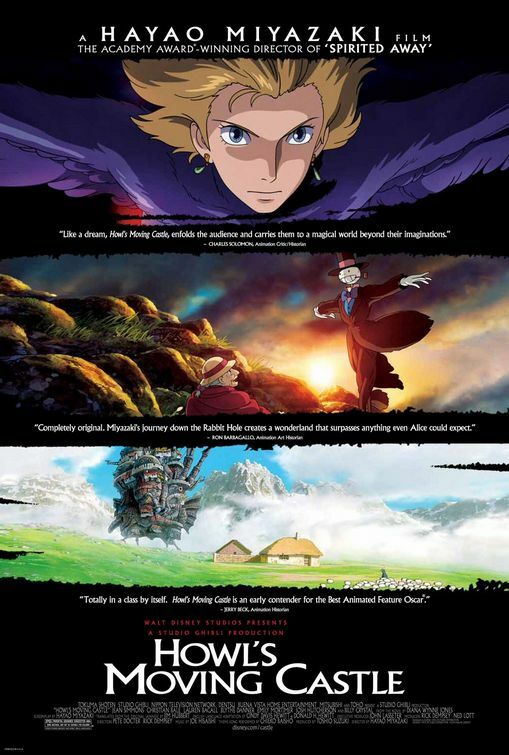 Great review, and I'm so glad you mentioned the Studio Ghibli animation. I haven't read the book but love the movie. Brilliant review, Keertana! I'm really glad you enjoyed this. Like you, despite the endless praise, I was never really all that interested. But after reading your review I have changed my mind! I really want to meet Sophie now, she sounds like a wonderful protag. I've watched the movie, and it was hands down fantastic, to be completely honest. So I'm glad that you loved it as well! I just loved everything about it, but it's a bit surprising that this isn't a lot like the book. However, since that's how it is with most book-to-movie adaptions, I suppose I shouldn't be surprised. But it's interesting to see that you enjoyed the movie more in this case. Because of that, I think I'll have to pass up on the book, even if you gave it 4 stars and liked most aspects of it. I'd rather just enjoy the movie without the book ruining my image and thoughts of the movie. I have never heard of either so what a fail for me! I will need to read the book and watch the movie! Great, so now I'm the only one who hasn't read this. You've left me all alone. The conbination of politics and magic is something I just can't resist, though. Adding this to my tbr. Watch Spirited Away and Princess Mononoke! You will not be disappointed. I just need to see My Neighbor Totoro. I feel like we had opposite reactions to these two. I kind of expected to love the movie (I love Miyazaki in general), but was pretty disappointed in it and didn't understand the hype/why so many people call it their favorite of his, and I really didn't know much about the book going in but LOVED it. I can certainly understand how certain readers either will or will not connect with DWJ's writing. If you didn't love her style in HMC, I wouldn't bother reading her other stuff tbqh. STILL glad you finally read it, even though I'm sad you were disappointed. Did you know you can shorten your long urls with AdFly and get cash from every visit to your short links.